Fig. 4. 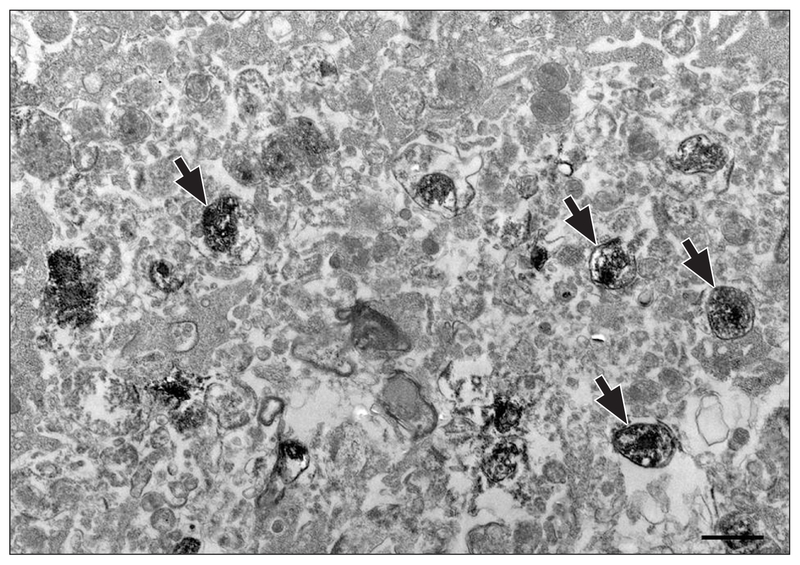 Electron micrographs showing osteopontin-labeled mitochondria (arrows) using immunoperoxidase electron microscopy in the 3-nitropropionic acid-injured lesion core in rat brain. Scale bar=1 μm.